Cardinal Sean O’Malley spoke about the death of former Boston cardinal Bernard Law on Dec. 20, 2017, at the Archdiocese of Boston headquarters. As a 71-year-old lay Catholic woman who has worked for the Archdiocese of Boston under Cardinal O’Malley, I feel called by the Holy Spirit to share my professional encounters with the cardinal and our church, because they suggest just how unlikely it is that transparency, pastoral accountability, or spiritual conversion are ever going to happen under its present leadership structure. In 2006, I was head of human resources for Caritas Christi, the Catholic hospital system run by the archdiocese under O’Malley. 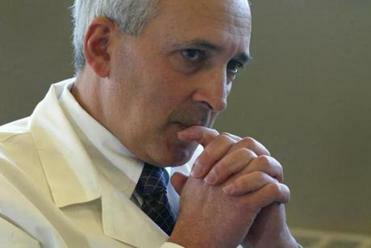 I oversaw the investigation of sexual harassment charges brought against Dr. Robert M. Haddad, then the CEO of Caritas Christi. These complaints included unwanted hugs, back rubs, and kissing on the lips of female employees as well as inappropriate discussions of personal matters. 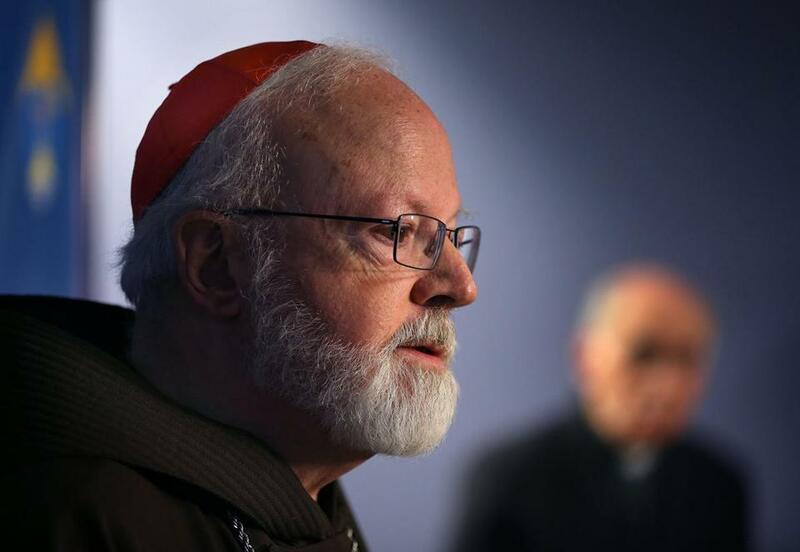 Cardinal Sean P. O’Malley decided to privately reprimand Caritas Christi president Robert M. Haddad, despite an investigation by senior officials concluding that Haddad should be fired. The cardinal decided that the credible claims of harassment — even against one who held power over his victims — were not serious enough to justify termination. He opted to reprimand Haddad, warning him that another harassment charge or retaliatory action would lead to termination. When news of this decision came out in The Boston Globe, the floodgates opened. Current and former Caritas employees came forward to report their similar treatment by Haddad, and the complaints were simply too serious and too numerous for the church to ignore. Shortly after the newspaper exposed the archdiocese’s failings, I was asked to attend a meeting convened by the archdiocese to decide Haddad’s fate. I remember it as a David and Goliath moment, sitting in a room full of men, including the cardinal and some of Boston’s best legal minds. The lawyers insisted my judgment had been erroneous, and that termination was a draconian response to harassment. I held fast to my recommendation. Later that night I learned on the radio that Haddad had been forced to resign. He has denied acting inappropriately. O’Malley’s willingness to initially ignore multiple accusers to protect a high-ranking official, with the assistance of both lay and ordained Catholics, renders his current call for transparency, accountability, and spiritual conversion tragically ironic. Much has changed in the secular world since 2006. With the Time’s Up and #MeToo movements, sexual harassment is being seen for the treachery it is, and those who perpetrate or enable it are being called to account in life-changing ways. But not in the Catholic church. After the resignation of Archbishop Theodore McCarrick of Washington, in July, due to sexual abuse allegations involving seminarians, other priests accused Pope Francis and O’Malley of not doing enough to stop McCarrick. O’Malley has said he never personally received a 2015 letter regarding McCarrick’s behavior; O’Malley’s secretary did but failed to flag it, because the issue was about an individual case outside the cardinal’s mandate of handling sexual abuse cases of children. O’Malley apologized and has since changed procedure. We hope for more from O’Malley, whom the pope chose in 2014 to serve as the president of the newly-created Pontifical Commission for the Protection of Minors. Today, Catholics have lost patience; we are looking for a sign that our leadership is ready to act, not greet each new scandal with empty apologies while clinging to their power. My professional experience in the secular world has taught me about navigating male-dominated organizations. I understand male bonding, “the old boy network,” institutionalized misogyny, and hierarchical leadership. The church features all these intransigent attributes, combined with the vows of celibacy and obedience. While sacred in their intent, the human experience of this mix has too often been toxic, permitting the victimization of the disempowered, including women, children, and seminarians. As a dwindling community of faith, how should we move forward? First, there must be a full investigation of O’Malley’s knowledge about McCarrick’s abuse. If the cardinal protected McCarrick, he has lost his moral authority to lead. If O’Malley is not part of a cover up, he must prove that he can truly move the church in Boston forward to a model of renewal. It will require radical action: Change the organizational structure by splitting the leadership of the archdiocese into two separate missions. Let the innocent clergy, of whom there are so many, continue to honor their vocations and do the work of “spiritual conversion,” and surrender to the laity the work of “legal transparency and pastoral accountability.” If the religious hierarchy had had the capacity and will to solve this enormous problem, surely they would have done so by now. This structure would also provide a path for women to play a full role in the day-to-day life of the church, a move which has consistently improved the overall performance of other large organizations. Recently, I had the blessing of participating in my 13-year-old grandson’s confirmation. As Catholics, we believe that he and his 65 classmates received a special grace from the Holy Spirit, enabling them to strengthen their own faith, as well as contribute to the faith of others. These young people are the future of the church, but they have witnessed the crimes of the clergy. They know their church has turned its back on young people time and time again. They see the continuing second-class citizenship of women in the church. Catholics, young and old, are wondering how church leaders will respond today. Will they continue to protect their own, or will they do as our faith demands and protect the least among us? Helen Drinan, president of Simmons University, has been a life-long Catholic.